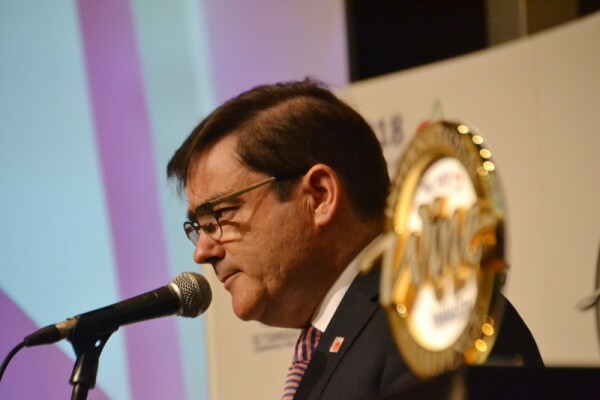 On May 18, IWC (International Wine Challenge) 2018 Sake Competition announced Trophy winners for the best sake in each of sake categories. 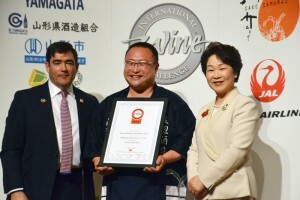 IWC, an international wine competition based in London, U.K., created the sake competition in 2007, which is now in its 12th year. It has been held in Japan for three times: the first in Tokyo in 2012, the second in Kobe in 2016, and this time the third in Yamagata prefecture which invited the competition. This time, thanks to a longer period of application for entry, as many as 456 companies and 1,639 brands, a record high number, participated in the entry. 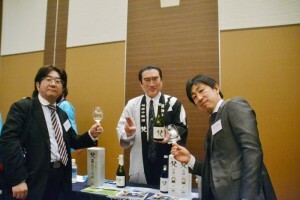 On the very day of announcement on Friday, May 18, at Hotel Metropolitan Yamagata conveniently located above JR Yamagata Station, there were full of people including judges from all over the world, as well as breweries, media, and those concerned in the event coming from all over Japan. 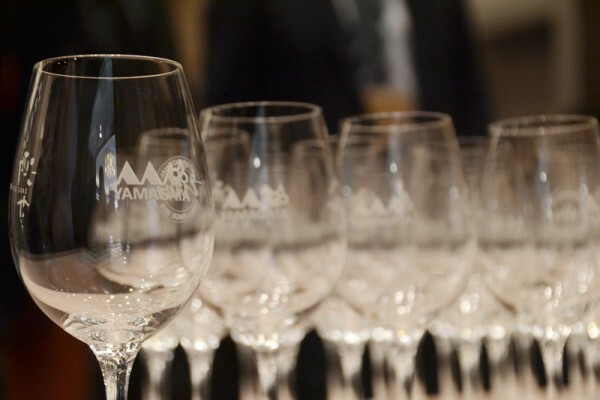 Before the award lunch for Trophy announcement, a tasting of all awarded sakes was held. 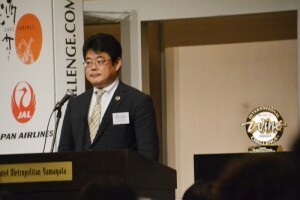 At the end of it, Mr. Kenichi Ohashi, the co-chairman, announced the Gold medal winners. Finally, the announcement of Trophy winners was about to be held in a special room. People were excited waiting for that moment while enjoying delicious appetizers and sake both made in Yamagata. The winning sakes were announced as described below. 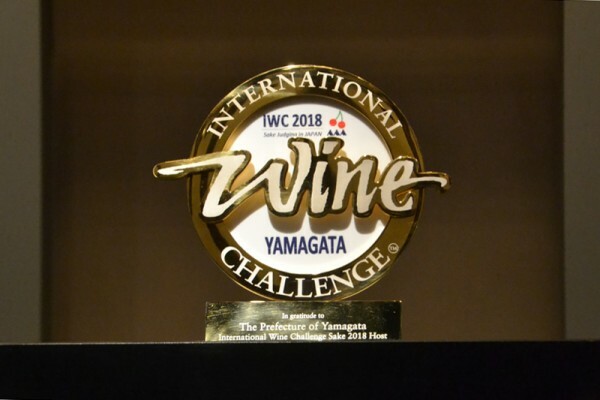 Winners received trophy plaques from Governor of Yamagata Ms. Mieko Yoshimura, who said that day May 18 was her birthday, and also from Mr. Andrew Reed, IWC Managing Director. 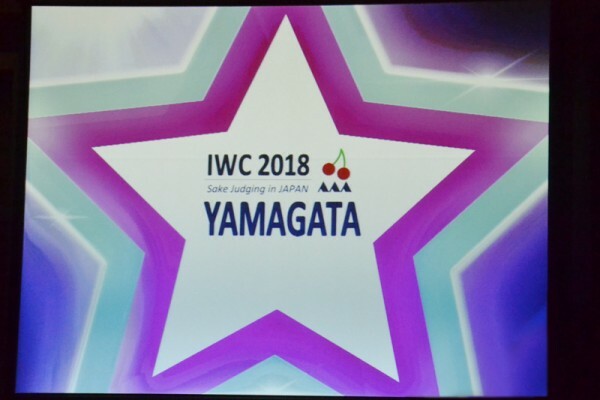 Sake produced in Yamagata received 17 Gold medals and 3 Trophies, as the judges made a comment that the overall quality of Yamagata sake has so much improved and the number of entries of Yamagata sake increased due to the competition was held in Yamagata. A percentage of Gold medals out of entire entries was 5.9%, while Yamagata sake accounted for as high as 9.3%. This proved that Yamagata sake had not only the number of brands entered for the competition but also the quality was very high. 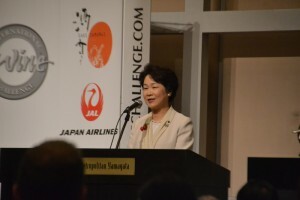 The first IWC Sake Competition took place in Japan in 2012, but this was decided suddenly, considering influence of the Great East Japan Earthquake in 2011. At the end of press conference, there was a statement, “It is one of the options that the competition will be held again in Japan.” Facing 2020 Olympics/Paralympics, this movement is now already being promoted with a big support from globally-conscious local governments in Japan. Locally rooted sake and breweries are expected to create a remarkable synergy effect. Future competitions in Japan are worthy of attention. On May 19 and 20 after the award ceremony, the IWC2018 Sake Competition winning sakes were presented for the tasting held in five venues in Yamagata, and many people enjoyed it. Upcoming tasting events will be Sake Samurai Booth at the “Japanese Sake Fair” (in Tokyo) on Saturday, June 16, and “IWC Trophy Winning Sake Premium Tasting” in fall.